WOW! THIS CONVENIENTLY LOCATED 3 BEDROOM AND 2 FULL BATH HOME IS A GREAT FIND. BOASTING 1600 SQ FT (PER TAX RECORDS) WITH EXTRA STORAGE SPACE, AN EXTREMELY WELL BUILT CUSTOM PRIVACY FENCE WITH LARGE BACKYARD, FULLY ELECTRIC WORKSHOP, A SECRET ROOM YOU WILL APPRECIATE (SEE IF YOU CAN FIND IT). ENJOY THE COVERED FRONT PORCH WITH IRON RAILINGS, FRUITFUL CHERRY TREE AND JAPANESE MAPLE TREE. THERE IS CUSTOM BUILT-IN SHELVING IN THE LIVING ROOM. YOU WILL LOVE THIS SPACIOUS HOME, SO CALL TO SEE IT IN PERSON TODAY! THIS HOME HAS SO MUCH TO OFFER IT'S NEW OWNER. PRICED UNDER CITY ASSESSMENT AND WAITING FOR IT'S NEW OWNER. Ready to visit 3310 Brighton? Request a free property tour! Send me more information about the listing at 3310 Brighton, Portsmouth, VA 23707, MLS# 10240040. 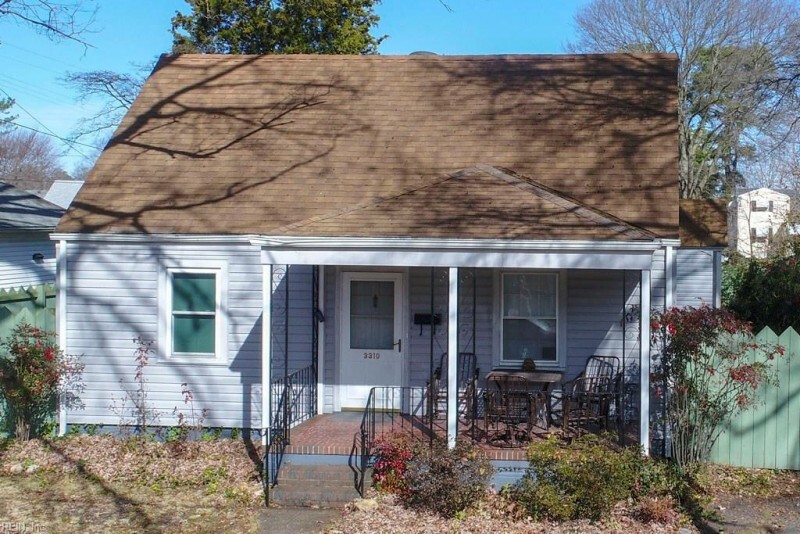 This 3 bedroom, 2 bathroom home located at 3310 Brighton, Portsmouth, VA 23707 has approximately 1,600 square feet. It is currently listed for $110,000 and has a price per sqft of $6,875. This home is currently Sold under the MLS#: 10240040. This listing is provided by CENTURY 21 Top Producers. 3310 Brighton Street, Portsmouth was built in 1941. It has 1 Space, Street parking.The kitchen includes 220 V Elec, Dryer, Gas Range, Refrigerator, Washer. 3310 Brighton is part of the Westhaven neighborhood located in 23707.